Saab Abbas, THANK YOU so much for having 'MY' car!!! I absolutely LOVE it! I'm so thrilled that I found such a beauty in a used vehicle, I could never have imagined that I would find such a car! In mint condition and such low miles. You made the transaction so easy and you are absolutely a pleasure to do business with, I will recommend you to all my friends and family. Europa Motorcar Company is definitely the BEST in my opinion! Thanks Just a little note to tell you how pleased I am with the purchase I made with you on the Toyota. After looking at several other dealers, you were able to provide me with not only the nicest car, but the best price. It's nice to know there is still an honest, friendly, no hassle car dealer! Thanks again. Good job. We were car shopping and a friend highly recommended your dealership. When we visited your place, we were very impressed by the quality, selection, price and, above all, the manner in which we were treated. Even though you didn't have the car we were looking for, we fell in love with this BMW and don't regret buying it. We really LOVE it. Thanks for making our car buying experience so easy and pleasant. Keep up the good work. Dream car! I wanted a particular car and my friend recommended Europa Motorcar Co. They went out of their way to find my dream car. When I came to pick it up I was so pleasantly surprised to find that my car was equipped with more packages than I had asked for and it was in excellent shape + the price was awesome. I have visited quite a few dealers and would not hesitiate to say that, the whole transaction with Europa Motorcar was easy, smooth and enjoyable. My GX470 I love my new Lexus! I knew just what I wanted and found it at Europa Motorcar. What caught my eye when I saw this car was the condition that it was in... BEAUTIFUL and well-maintained in the color I wanted, but I purchased it from them because they were so easy to work with. Europa Motorcar answered all of my questions with honesty and integrity. I felt good about purchasing from them. They are a top-notch outfit and I will recommend them to my friends!! Volvo S60 R & Lexus RX330 My boyfriend and I had such a wonderful experience purchasing our Volvo S60 R that there was no question where we would go for our next car, just a few months later. Abbas only purchases and sells the best quality cars and his customer service is impeccable. Thank you Abbas for making the process so easy and fun. Although I LOVE my RX330 and cannot imagine driving anything else, when I do purchase again it will be with Abbas. Thank you Abbas for providing such great service! Ultimate Driving Machine This was my first time purchasing from EMC. I got what I wanted in less than 2 hours including the time it took to inspect, test drive, sign paperwork, etc. It was a pleasant buying experience! I also met another customer who had previously purchased a couple of cars from Abbas and he had only good things to say. We will be back. Customer review I would recommend Europa Motorcars dealership as an excellent source for anyone interested in the honest dealer behavior and great pricing. The dealer made the process very easy for me, answered all my questions, no BS negotiations, good pricing. Very smooth transaction. Overall quality A+ !!! Lexus IS 250 As a first time car buyer, Abbas made the process very simple. He was able to provide fabulous customer service and concrete evidence that the car I wanted to purchase was well taken care of. Thank you! 2004 Mini Cooper We had a great experience purchasing our Mini Cooper from Abbas. We appreciated the no-nonsense and friendly transaction. Abbas is refreshing because we didn't feel any sort of pressure or sales-pitch from him. Just highly professional with a fabulous selection of cars kept safely away in the showroom garage. Thanks again for making this purchase great, and for our great mini. We love it! Dream Come True I have always wanted a BMW, but this wasn't just any BMW. The minute I saw it, I fell in love with it. It only got better when I took it for a spin. The price was never an issue because when I saw how much this car had to offer, there was no question it was going to be mine. Now the tough part was trying to figure out why it all went so smoothly .... Well it's simple, the cars at this dealership are of pure quality. They have strictly the BEST gently pre-owned automobiles (quality not quantity) and you can tell right away that every car is hand picked. I just want to thank you for making my dream come true and making it the easiest transaction ever! I love my car and would challenge anyone to "test the other guys" because you will be back. Thanks Again! Mercedes E Class I was looking for a late model Mercedes for my wife and had seen many cars but few really excited us. As she sometimes says "you have to kiss a lot of frogs before you find a prince".  While trolling AutoTrader.com, I stumbled on a listing that lead me to Europa Motor Cars & Abbas Hussain. At the time, I was considering cars from "authorized" Mercedes dealers and negotiating on a few. The car that Europa presented was in impeccable condition; low mileage, absolutely pristine, optioned perfectly and in a beautiful color combo. The list price was several thousand dollars less than what authorized dealers were asking. After speaking with Abbas on the phone, we decided to drive over to view the vehicle. The car was even better in person than either the website pictures or Abbas' description led us to believe. My wife fell in love with the car and at that point I figured on the typical Mercedes sales treatment that I was used to. I was wrong. After dealing with pretentious Mercedes "Sales Associates" Abbas was like a breath of fresh air. The transaction was a breeze. After a brief negotiation, we agreed on price, completed the paperwork and we were on our way home with the car in short order. To answer the proverbial question "Would you buy a used car from this man?" The answer is a resounding YES! I plan to be a repeat customer. Excellent inventory, fair pricing and best of all, knowledgable professional car guys who made our car buying experience down right pleasurable. Professional Conceirge Service We were first skeptical of purchasing a Mercedes from a non Mercedes dealer. However our skepticism was met with a remarkable professional experience by Abbas. Everything was straight forward and we are very please with our selection. We will recommend our friends. Thanks Abbas Our Lexus RX330 is a beautiful car and it was priced right. It has everything we were hoping to find when we started looking for a car and more. After weeks of research to find the best deal we met you and we feel very good about our decision to buy this car. I've always suffered from at least a little buyer's remorse when purchasing cars in the past. Not this time, your honest sales approach and the car were a perfect match for us. Best of all, Lynne loves this car. Infiniti FX 35 What can we say other than, meeting Abbas was great. My husband and I are very happy after searching and researching this car that we purchased is a great price and great condition from Abbas. And we totally agree with one of the other testimonials that he is not a pushy salesman at all. He makes you feel at ease and not at all rushed into a decision. Thanks again Abbas! We love our new car! Lexus RX330 Thank you. More than thank you. Auto purchases are not a fun event for me. You made this event easy, honest, forthright and when I am in the market for my next car my first thought will be "Is Abbas still available to help me?" The car is more than I expected and in mint condition. 2006 Audi A6 I never look forward to buying a car. I dread dealing with car salesmen and their games. I just dealt with Abbas and must say it was a pleasure. I felt like I was dealt with with respect and fairly. Its been 3 months and my Audi runs great. Definitely a great auto. Thank You!! Abbas: My husband and I wanted to thank you for all of your help in purchasing our car. I have never purchased a car from someone who was so helpful and so friendly. You went out of your way to help us with so many little details. We will definately contact you when we are ready to purchase our next car! Compliments from a Satisfied Customer Hello, Abbas I bought my 2005 Volvo XC90 from you in July, and I just want to say that I continue to be very pleased that I had the good fortune to meet up with you and Europa Motorcars. The car itself is everything I'd hoped for, and the sales experience was very efficient, courteous, and fair, including the trade-in of my Lexus. In addition, I was surprised to find that you steered me to even better financing than I'd pre-arranged elsewhere. You should be proud of yourself, Abbas, for running a first-class operation. I for one certainly appreciate it. Excellent,Excellent and Excellent!!! I am very happy with the CLK500 I purchased from you Abbas. You are excellent with customers being so professional and honest. Your inventory that I saw are all in excellent condition. I am sure that I will see u again when my husband is ready to purchase his car. You are the best. 2007 GS450h Our experience with Europa Motorcar and especially with Abbas, was amazing. Abbas was honest, patient (and trust me, we do require patience! ), with a sharp sense of humor, and uniquely pleasant to deal with. We were looking for a specific car in all over Northern and Southern California and found exactly what we wanted, for the price we wanted, at Europa Motorcar. I highly recommend Abbas if you are in the market for a luxurious, low - mileage, and modestly priced car. The service we got at this dealership was beyond your regular dealership experience - and I'm not referring to hot coffee and chocolates while you negotiate your deal with the dealer - what stood out the most was the feeling of trust and easiness to close the deal on a car of your dreams. There's no doubt we'll come back to Abbas for our next car purchase. Thank you. Dear Abbas, As my mother told me it's better late than never. I had a battle with a bad back that I still contending with but I've wanted to thank you again for the kindness and knowledge you demonstrated in the purchase of my car. As we discussed I have purchased many cars in my life, but the experience with you was the best. I was particularly impressed with your information on financing and what might be construed by others as "deal making", it was very insightful. I was also so very pleased when I came to pick up there car you had the door handles attended to, it showed a great deal of class and caring. Thanks again and best to you and the company. Best Buy for Luxury Autos If you are in the market for a luxury vehicle then you absolutely must make Europa Motorcar Company in Burlingame your first stop - it will be your only one as you won't need to go anywhere else. If they don't have the car you're looking for they will find one for you! First class service without being ripped off for it. Abbas is a gem - very knowledgeable and responsive, attentive down to the finest details. My CLK350 was missing the NAV manual and he tracked one down for me. He negotiated a very fair deal for the car and I very much enjoyed our time together. I really used to detest car buying until I met Abbas at EMC - thank you for turning what has been a miserable experience into a truly pleasant one. I know where to go for my next car purchase! Mini Dear Abbas, Tami and I just wanted to thank you for checking on the spare valet key last week and most of all, for making our purchase of the Mini Cooper S THE most enjoyable and relaxed automobile purchase in our entire lives! We love it and will DEFINITELY think of you if we ever are in the market again. Thanks for making it such a pleasure! BMW 745Li My wife and I have been looking for a while for a nice low mileage 7 Series at a reasonable price. Abbas at Europa was very professional and caring. We couldn't be happier with the whole buying experience and our beautiful new 745Li. Thanks Again Abbas!!! Thank You So Much!!! To Abbas: I just want to thank you for all your help in selling me my Toyota. Your professionalism, knowledge and honesty is greatly appreciated. Most of all, I did not feel any pressure from you like most dealers. I am very happy with my purchase. You made my experience so pleasant! I would highly recommend you and your services! Thanks again! 2008 BMW 335i - 9/4/10 Abbas is the man!! The moment my wife and I met him, we knew he was the man we wanted to deal with. He was very calm & sincere, remembered my name (even after only a 1 min conversation the day before), and we felt no pressure from him at all. The only thing we had to do was agree on price. First and foremost, the car we were looking at I already knew was rock bottom (compared to all the dealerships in the Bay Area and even KBB), but to appease my wife, I had to stick to the script and try to work it down. We went back and forth (we even left the lot to look at another car), but we eventually came back and agreed on a price. After we agreed on a price, he sent us to his special finance resource. We drove offsite and came back within a 45 min with a loan locked in at sub 4% (mid 3s). AWESOME! All the other dealerships in the area had nice cars (Topline and other places on Carolan Ave), but the people were typical salespeople. Which isn't necessarily bad, but if I'm going to drop serious $$ on car, I have to like you :) I would highly recommend doing business with Abbas and Europa. Great selection and great prices!! When it comes time to pick up another car, I will definitely be looking here first. Thanks again Abbas!! Thanks Saw his ad online and went to check car out. I had read reviews about how nice he was and guess what, he is. He destroys the myth of the used car salesman. He is honest and nice and goes out of his way to help you. What more can I say it was a pleasure to deal with abbas. Thanks for my new car. Abbas has been amazing. I purchased a Audi A4 Convertible from him in November. The car was (and is) gorgeous, has had no problems, and is a dream to drive. More importantly, there was absolutely no pressure while I considered my purchase, and once I made up my mind Abbas went out of his way to make the logistics for the purchase itself as painless as possible. Months later, when I needed to get an oil change and wanted to find a good Audi mechanic, he was more than happy to recommend some technicians in the area. Abbas gave me a wonderful car at a good price, and has been beyond helpful since. I couldn't be happier with the purchase! 2007 E550 Mercedes It was truly a pleasure working with Abbas in purchasing our new vehicle. His honesty and professionalism was refreshing, given our prior experience with high-pressured sales people. Whenever we are in the market for a car, he will be the first person we call! Greetings Abbas! Purchasing a car at Europa Motorcars was an extremely pleasurable experience. The entire car inventory was superb and all of the vehicles were presented in an excellent fashion. The customer service provided was great and made the car purchasing experience completely smooth and enjoyable. My wife is enjoying her BMW wagon and we are very happy with our purchase I highly recommend the car-buying experience at Europa Motorcars. Abbas I can’t thank you enough. I love the car! Please feel free to use this picture anyway you please. This is my dream car. Hi Abbas, I am sending you a testimonial as promised: Best car buying experience I have ever had. Abbas is very very pleasant and easy to work with. 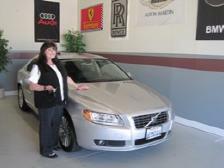 plus I got the car I really wanted, a 2008 Volvo S80. During my car search I dealt with 2 different dealerships. With them its always the same frustrating experience, I recommend buying a car from Europa Motor Cars, you won't be disappointed. Thanks Abbas, Deborah. Abbas, I had to take some time out of my day to send you a big THANK YOU!!! I have never enjoyed the experience of shopping or buying a car, but you changed all of that. You made a day long experience last an hour, if that. I appreciate your excellent customer service, honesty, and professionalism. I will spread the word and let everyone know about you and Europa Motors. Thank You! A customer for life Milissa PS....I love my new car...she is a real beauty. Hello, Abbas -- George and I have been enjoying our Toyota 4-Runner immensely over the weekend, please thank Benson again for taking such good care of it! As I mentioned on the phone, it was a pleasure doing business. The quality of cars you have on the lot are top-notch, which certainly saved us much time in kicking tires at other dealerships. And completing the purchase was professional and above-board -- no game playing, we appreciated your forthrighness, as that's the way we like to do business as well. I would definitely recommend Europa Motorcars to friends, and when we are in the market for another car, we will be visiting you again as well. Glad we stopped in at Europa Motorcar! Abbas I'm sorry I didn't put this up sooner but please add to your testimonials. You are a fantastic person to deal with, you cars are pristine, your customer service is excellent and you no hassle approach is what sold me my dream car. I will always come back to you when I'm in the market for a new car. We recently had the absolute pleasure of meeting, Abbas Hussain, @ EUROPA MOTORCAR COMPANY INC. (Premier Quality Pre-Owned Luxury Vehicles) In a quest to find the right car and make our next vehicle purchase, I called the showroom to inquire about the cars that were in his inventory..... I was immediately impressed with the phone conversation I had with Abbas. He was, extremely knowledgeable about his fleet of vehicles and welcomed us to come and view the car I initially inquired about. When we arrived, we were mesmerized by the impecable condition of each luxury vehicle. Abbas was the epitome of professionalism as his enthusiasm never wavered in answering our many questions. The next evening my husband returned; surprising me and purchasing an exquisite Lexus. I would highly recommend Abbas to anyone who is searching for a vehicle of superior quality. Abbas is trustworthy, knowledgeable, and a consumate professional in his field.